Just moved out of your parents' old house and finally into your own apartment? Shopping for new and essential furniture? Revamping your home's interior design to fit your ever-changing taste or style? Whatever your reasons may be, the bed is one of the most important and sought-after pieces of furniture. For most, if not all, the bed is a significant investment-not just because this is where most of one's resting hours take place, but also because of the proven fact that a good bed can actually contribute so much to one's health. A typical bed usually consists of a mattress, supported by a bed frame and a box spring. There are other accessories that may be included, such as side or front rails. These days, there are many variations that do not necessarily follow the structure of the typical bed-there's the Japanese-styled futon, the sofa bed, which is most convenient for small spaces, and the hammock, which is made of stretchy net-like material. The conventional type of beds come in an assortment of shapes and sizes that sound very much like royalty-for example, there's the twin, the Queen, the King. 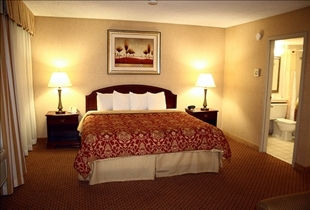 Two of the most luxurious beds in terms of size would be the King and the California King. There is a standard measurement being followed worldwide by bed manufacturers: the King-sized bed, which is also known as Eastern King, is 76" wide and 80" long while the California King bed, which is also nicknamed Western King, measures 72" by 84". Fitted sheets for both beds correspond to those respective sizes. Flat sheets measuring 108" by 102" and comforters measuring 100" by 90" can be appropriately used for both bed sizes. Choosing one's type of bed would depend on a number of factors. The first factor would be the number of people who would use the bed-which is usually just one or two. The Eastern King would be suitable for as many as two adults sleeping side by side, as it gives an estimate of a width of about 38" for each person. Therefore it is most convenient for a couple, and may be impractical for a single adult. 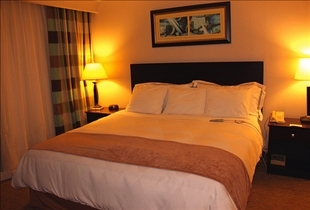 On the other hand, the Western King or California King-sized bed is also fit for couples, although slightly narrower with about 36" width per person. Its added length can also make it a popular choice for tall people. Other factors in choosing or buying new beds include: the length of time it has been used (as it is ideal to change mattresses every 8 to 10 years to avoid accumulation of dust and possible bed mites) and a person's mobility or lack thereof while sleeping. Beds are one of, if not, the most important piece of furniture to be included in a home as it is the place where we rest. Factors in choosing a bed would depend on: floor space, length of time a bed has been used, and number of people who are to sleep on it. Both California King and King beds are the most suitable choices for couples, California King offering extra length for taller people. It's a lot easier to find California King bedding on the West Coast. I actually prefer the Cal King because of the length, but I've heard from friends on the East Coast that they've never heard of a Cal King. Interesting.Years ago, Eastern King sheets were not even carried in the stores I shopped in. Both sizes of sheets are widely available now, and since many people shop online (accessible to the whole country) both sizes are marketed. I was looking for the bed for my new room when visit here. I am glad I visited here and come to know about it. I have gathered a huge resource and I will look forward to it. Asphalt Shingles vs. Metal Roofing: What is the difference?